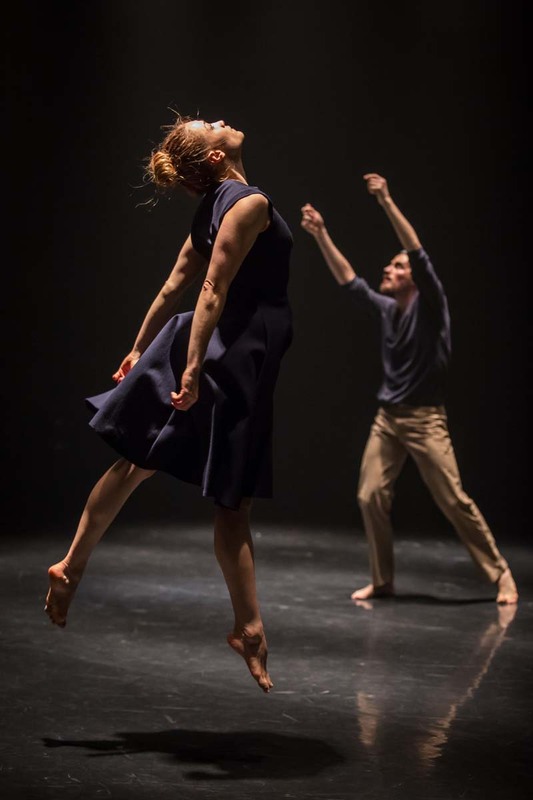 National Dance Company Wales’ new tour, Awakening, journeys across the UK this spring, opening in Newport, South Wales, on 1 March, St David’s Day 2019. The tour comes as the company enters a new phase in artistic leadership, under the recently appointed Artistic Director, Fearghus Ó Conchúir. The Awakening tour continues the company’s commitment to making engaging and innovative dance with and for all kinds of people in all kinds of places. NDCWales will be connecting with communities through dance participation and audience development activity in six venues, supported by the Foyle Foundation in Wales, and Arts Council England in England - in Bangor, Swansea, Mold, Shrewsbury, Huddersfield and Blackpool. Tundra tears pages from the history books on Russian folk dance, the USSR and revolution, revitalising old ideas with renewed meaning. The bold design is inspired by art and cinema. A dance so robotically precise it’s as mesmerizingly beautiful as it is astounding. Tundra won ‘Best Dance Production’ in the 2017 Wales Theatre Awards along with ‘Best Choreographer’ for Marcos Morau. The production was also recently shortlisted for the UK Theatre Award for ‘Achievement in Dance’. They Seek to Find the Happiness they Seem, by Lee Johnston, who is the Company’s Rehearsal Director, is about the disconnection that can occur in relationships. The dance uses reconfigured moments of iconic choreography from famous couples including Ginger Rogers and Fred Astaire in a raw and beautiful performance that touches the heart. Discover Dance - This is ideal for young people (aged 7 and over) and is a joyous, fun experience of joining in and watching a dance piece whilst learning what it’s like to be a dancer. Watch Dance Class – An opportunity to sketch, photograph and learn more about the backstage secrets and watch the dancers up close as they prepare on show day. Post Show Talk – A chance to ask members of the NDCWales company about their work and what it takes to become a dancer in a leading UK dance company.